Green energy solutions – or rather, those energy sources that have minimal impact on the environment – are essential to limiting the depletion of the Earth’s natural resources, as well as reducing the harmful effects on the globe. From corporate responsibility to those individuals wanting to limit their own impact on the environment in their homes, finding a green energy supplier and taking advantage of green energy solutions is key. At Coastal Energy Kent (Dover based electricians), we’re able to help provide the types of green energy you require for comfortable living and effective business operations. Below you can take a look at just some of the green energy solutions our team of experienced electrical contractors are able to provide. Simply contact us today for more information. Solar panels – or photovoltaic (PV systems) – are designed to generate electricity through nothing but the sun’s rays. Often crafted from thin layers of crystal, these solar panels harness the energy in daylight and generate direct current electricity. Solar thermal heating operates in a comparable manner, using the energy taken from sunlight to heat hot water and internal heating systems. Cost-effective and one of the most common forms of green energy, solar panels have steadily become a regular sight throughout the UK. Learn more about our Solar Panel Installation service. Gas central heating has long been commonplace in modern homes, providing round-the-clock warmth and hot water in residential and commercial properties. However, many traditional gas boilers are far from efficient, so updating your boiler to a fuel-efficient model represents one of the most effective green energy options in which you can invest. Not only will you be purchasing a green alternative, but the running costs and level of performance will be greatly enhanced. 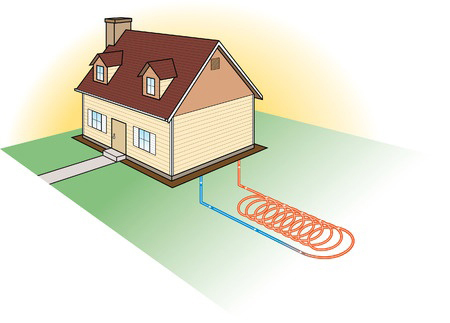 A further option for green energy is a ground source heat pump. As the name implies, these pumps are able to utilise the natural heat found in the Earth to help warm your property. Unlike heating systems that require the burning of fossil fuels to operate, a ground source heat pump uses natural, renewable resources to deliver the energy to your home, thereby representing a sustainable green energy solution. To discover more about the available green energy solutions available for either your home or business premises, contact Coastal Energy in Dover today. We’ll be able to answer any questions you may have and help provide you with the perfect energy options. Simply submit an online enquiry form today, and one of our friendly team will be in touch to discuss your options.